Last Saturday’s WBC world heavyweight title fight between champion Deontay Wilder and linear champion Tyson Fury was an event to be remembered and what a fight it was despite the controversy that has since followed regarding the final result. After 12 exciting rounds of action and despite Fury suffering two knockdowns at the hands-off the big hitting Wilder, many observers and boxing experts still believe that the Gypsy King did enough to win. 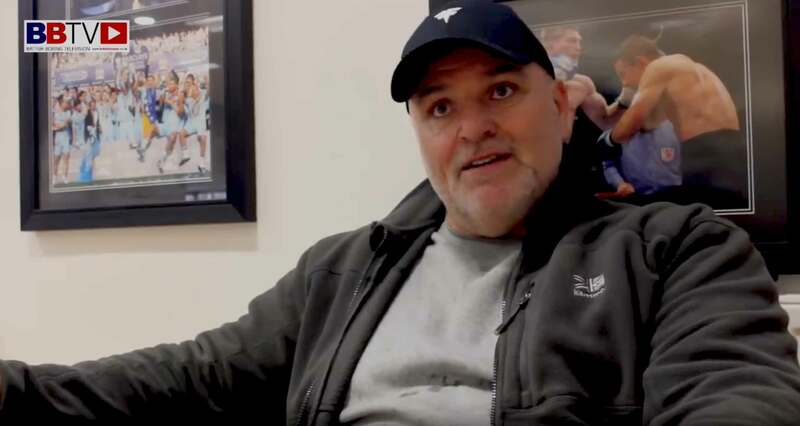 Tyson’s Dad, Gypsy John Fury, himself a former professional heavyweight boxer, wasn’t given permission to travel to the USA to watch his son’s fight because of issues with obtaining a visa but he was obviously watching the fight at home on TV in the early hours of Sunday morning in Manchester and he spoke Exclusively to British Boxers – BBTV on Monday to give his views on the fight, the result and his undiluted thoughts and option on what should happen next for his son. John says if he was in the corner that night, he would have thrown in the towel in the 12th round after Tyson was played out by a right, left combination. Some how Tyson managed to get to his feet and carry on fighting, even taking it to wilder in the final minutes of this epic.